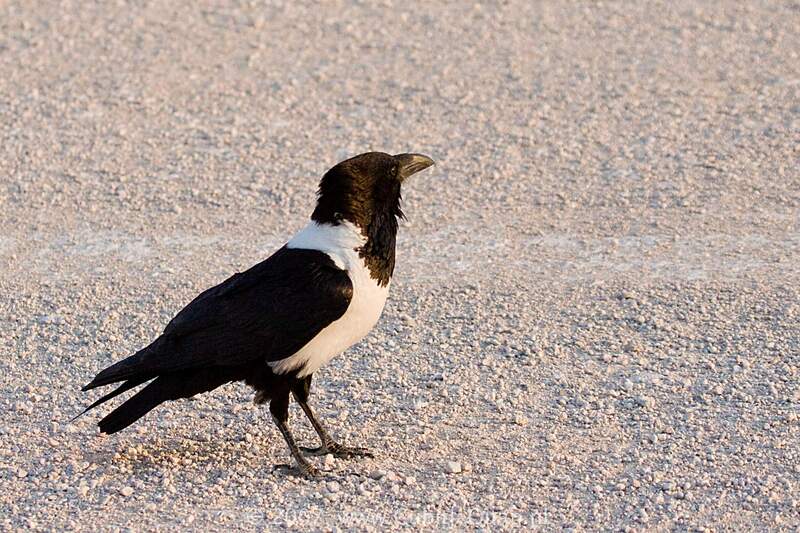 The only white-bellied crow in the region. 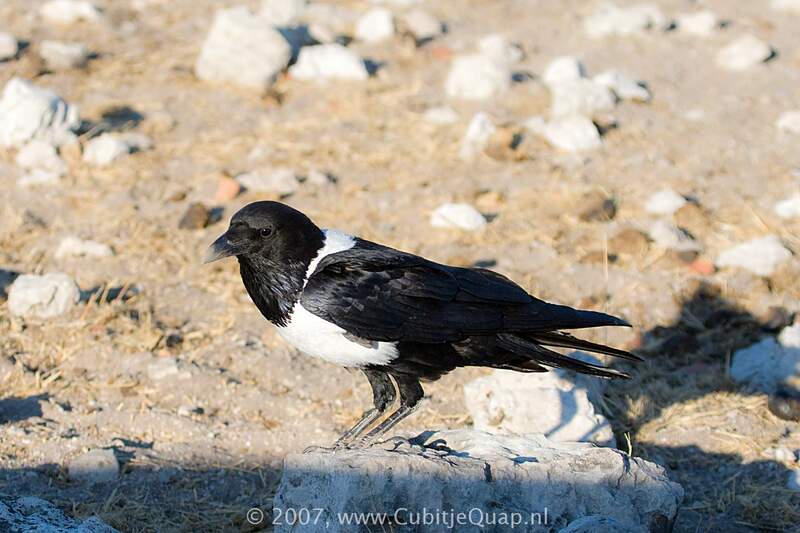 From a distance it may be distinguished from White-necked Raven by its longer tail, smaller head and white breast. 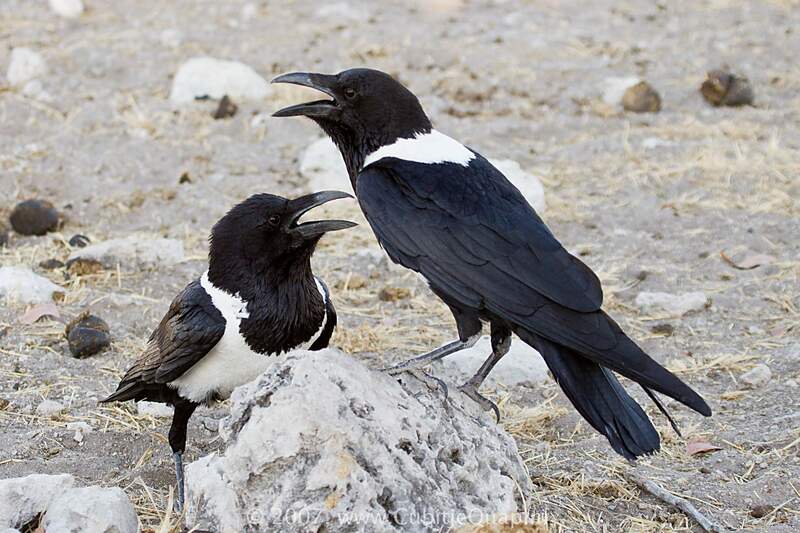 Juvenile resembles adult but there is less contrast in black-and-white plumage. A loud 'kwaaa' or 'kwooork' cawing.